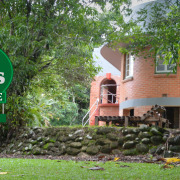 THE QUARTERS GUESTHOUSE is located in the township of Babinda, Tropical North Queensland. Just a 40 minute drive south of Cairns. The Quarters Guest house upper and lower verandah face to the east enjoying beautiful early morning sunrise and vistas. 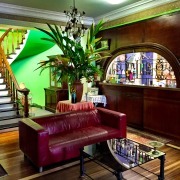 Within the main art deco lounge is a baby grand Piano and musically inclined visitors are encouraged. 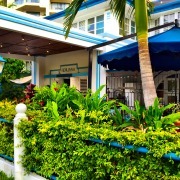 The Quarters welcomes travelers and interstate guests visiting the coast and southern region of Cairns. Budget travellers today now seek style, functionality, value for money and experience. You will find all of this and more, with many contemporary and stylish budget accommodation options offering affordable rates that in addition may include bonus services such as free internet, light breakfast or airport transfers. 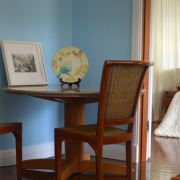 Ideally suited to singles, couples and families on a budget, fly in fly out, short stays, corporate stays, or those who want to be centrally located. Budget stays allow you to save on your accommodation so you can put more into your holiday experience. Budget style accommodation ranges from backpackers, guest house, motel rooms, holiday apartments and studio rooms. Backpacker Accommodation is aimed at the young (and young at heart) budget concious travellers. Dorm style rooms are generally shared with other fellow travellers and feature single bunk beds, with 4, 6 and sometimes up to 8 people per room. Gilligans is a backpackers haven, located in the heart of Cairns City, offering an excellent standard of modern, budget dorm and hotel room accommodation. All dorm rooms have an ensuite bathroom, and there is even the option to splash out and upgrade to a superior dorm room that additionally features the comforts of a tv, mini bar fridge, hair dryer and towels. Rates include a free BBQ on Sundays, free arrival courtesy bus and VIP prices for in-house guests. Motel Rooms are perfect for couples, short stays and corporate travellers on a budget. Standard features include Air-Conditioning, Fans, TV, Ensuite Bathroom, tea and coffee making facilities with the option of Queen or Twin bedding. On site facilities generally include a swimming pool, laundry facilities, internet access and free parking. 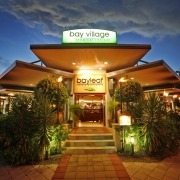 The Balinese Motel is a little gem situated just one street back from the Cairns Esplanade. This small complex comprises of eighteen hotel rooms all furnished in a Balinese style, uniquely produced by Indonesian craftsmen. Rates include a continental breakfast daily, free unlimted internet access and full use on a communal kitchen. Holiday Apartments are ideal for families or to share with a group of friends, where you can split the costs and make for a very affordable stay. Apartments allow the advantage to be able to self cater and make savings by dining in, rather than dining out. Standard bedding for a two bedroom apartment includes a King/Queen Bed, 2 x Single Beds and an additional bed for an extra person (charges usually apply). The Cairns Queenslander is an ideal budget option for families offering large, spacious, two bedroom apartments that are fully equipped with kitchen and laundry facilities. These apartments can sleep up to 6 guests, and children up to 14 years can stay for FREE when using existing bedding. Studio Rooms are most popular for couples on a budget. They are are ideal for longer stays as they tend to be more spacious than an average hotel room, with the added bonus of a kitchenette so you can self cater. Kitchenette facilities usually comprise of an electric cooktop, mini fridge, microwave, kettle, toaster and sink; perfect for creating simple, affordable meals. The Southern Cross Apartments is located in the heart of the city, and a popular option for couples or the corporate traveller. Set amongst tropical gardens, this property features modern, clean and spacious studio rooms and apartments. With 3 swimming pools, a gym & sauna, restaurant, BBQ area, and just a 2 minute walk to Cairns Central, the Southern Cross offers excellent value for money. Choose an accommodation property that is centrally located or within easy walking distance to main attractions such as the Cairns Esplanade and Lagoon, and the Reef Fleet Terminal where all the Great Barrier Reef trips depart from. The Cairns Airport is only a 10 minute maximum drive from the city centre. If you are travelling with 2 or more people into Cairns City it is more cost effective and convenient to take a taxi. The Sunbus terminal is centrally located in City Place, where you can connect with the Northern Beaches and outer suburbs. It is possible to depart on the Kuranda Train from the Cairns Central Railway Station, which is conveniently located next door to the Southern Cross Apartments. For the best deals look to travel outside of peak season times. Peak season is from June until October, and during school holiday periods. Rates are usually lower during the off peak season, and you will find it quite plesant to travel without the crowds. Quite often you will find Stay/Pay deals such as Stay 4 Pay 3 or Stay 7 Pay 5. If you must travel during school holidays or peak season then it is best to book well in advance. Quite often you will find discounts and deals for tours which must be booked within a certain timeframe, however the travel date can extend beyond the booking date - for example, 'Book before 30th April - For Travel until 30th June'. Package Deals offer great savings! Package deals offer some fantastic savings for couples, families and friends. Choose from a variety of pre-packaged accommodation and tour deals that have been created to suit all budgets and interests. Not only will you save $$, it also makes your holiday planning easy and hassle free as we take care of all the details for you. Our top budget package deals include the Cairns Super Saver featuring 3 Nights at the Hides Hotel, a Great Barrier Reef daytrip and the Kuranda Train & Skyrail; the Cairns Getaway Package featuring 4 Nights at The Hotel Cairns, a daytrip to Green Island and the Kuranda Train & Skyrail; and also the Reef & Island Fun with a stay on Fitzroy Island. For Tour Combos we highly recommend the 3 Day Reef, Kuranda and Cape Tribulation Package as excellent value for money that you can combine with the accommodation of your choice. Look for accommodation that offers value added services such as free breakfast, free internet, free transfers, children stay for free or free car hire. There are plenty of offers around to give an incentive for your stay, just remember if there is free brekkie on offer take advantage of it and don't sleep in! Choose accommodation where you can self cater. Most studio rooms and apartments are set up as a home away from home featuring all the basics required for a long or short stay. Kitchen facilities generally include a stove top, microwave, kettle, toaster and fridge so you can prepare basic meals. 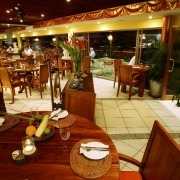 Having access to self catering facilities allows you the flexibility to dine in as you please. Download and print discount vouchers for entry into a variety of local attractions. If you would like to splurge and dine out whilst here then take advantage of our Table 52 Meal Vouchers offering up to 15% off the food bill and free stuff!